Ed Parker is today one of the legends of martial arts. He is the father of "American kenpo" and is regarded as one of the original pioneers of traditional eastern martial arts in the US. 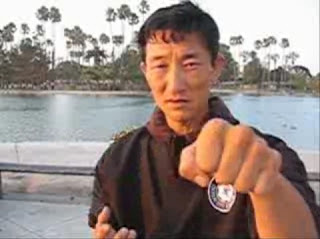 It is widely accepted that Parker developed most of what became his own martial art. And some of it, as practised today, is very good indeed. But just how "good" was Ed Parker himself? What did he study - and what did he originally teach? We know that Parker was a student of William KS Chow in Hawaii. Chow was himself a student of the infamous James Mitose. 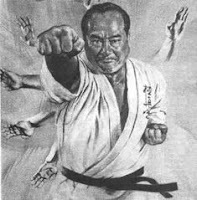 While Chow might have evolved the system a little, it appears that at the time he taught Parker it was essentially still Mitose's: shorin ryu karate, as passed down from the likes of Matsumura, through Itosu and people like Funakoshi and Choki Motobu. So it's hardly surprising to see that Parker's first book, "Kenpo Karate" (published in 1961) shows what Wikipedia describes as the "hard linear movements" typified by shorin karate. However this isn't how I came to know Ed Parker. My brother and I bought his second book "Secrets of Chinese Karate" in 1975 while visiting the Philippines. At the time we were, like everyone, "kung fu fighting" and neither of us was terribly interested in karate. But the "Chinese" title caught our respective attentions. We pored over that cheaply-printed paperback until it fell apart from yellowed, brittle age. My brother recently found a replacement in a local bookstore. The copy was in very good condition and now occupies the same special place on his bookshelf that its predecessor did. 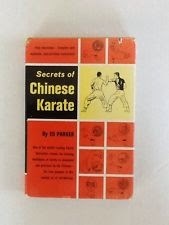 I wasn't to know back then, but "Secrets of Chinese Karate" was a landmark departure from Parker's first book, "Kenpo Karate". It was distinctly Chinese in technique, rich in detail about both technique and history/custom. It seemed to have been written by someone who had an intimate knowledge of Chinese culture - both martial and otherwise. But that book was published in 1963 - just two years after Parker's first book. What had happened in two years for Parker to go from "basic karate" to "complex southern Chinese gong fu" (with such elaborate, authentic technical detail)? Were the drawings at all based on Parker and his students? I'm pretty sure most of the kenpo world now knows about the infamous post "The Terrible Truth about Ed Parker". The original has been taken offline but it survives in "cache" mode as well as in other places. Without repeating its contents, I can summarise it as alleging that Ed Parker was refused further karate-style tuition by Chow and others in Hawaii. Being relatively junior (according to the post, a brown belt) he needed more knowledge. 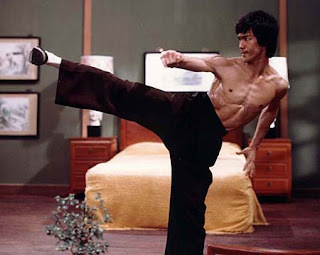 Fortunately he met a man named James Wing Woo* who taught his own fusion of Chinese arts, including hung gar. Parker and Woo ended up living in the same house and writing a book together - with Woo providing the technical detail and Parker providing the necessary English language skills. 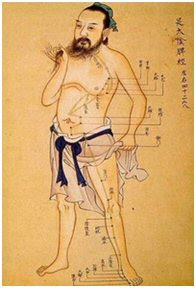 The drawings to be found throughout the book are said to be based on Woo as a young man. The gist of the article is that Parker ultimately published the book - but failed to credit Woo. At all. I started training with Sifu James Wing Woo in 1977 and he is like a second father to me. 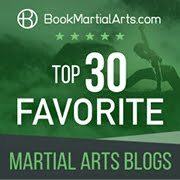 That story of Parker and Sifu is essentially true regarding the book, but he went on to build a successful practice and a dedicated group of students. He always teaches the classes himself, 363 days a year. Sifu Woo just celebrated his 90th birthday Sept 2012, and he is still teaching Kung Fu and Tai Chi daily from his gym in Hollywood CA (and the workouts are still tough!). http://www.lulu.com/shop/view-cart.ep;jsessionid=19D29DC82FA08E35DAAB43E3EE41569CGive yourself a gift and stop by the gym and take some classes from Sifu. What does it tell us? As an instructor of over 30 years I can assure you that it tells us a lot. 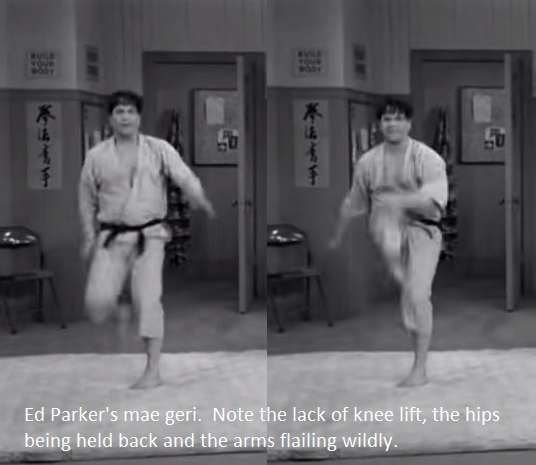 In 1963, when Parker wrote his landmark second book and when he was in his physical prime (32), he was, even by the standards of his day, a relative beginner in the martial arts. He simply doesn't have any of the fundamentals of good martial arts movement (I don't count breaking through some tiles because this doesn't require "martial" knowledge - it's something you can teach any beginner). Again, I say this with due regard to comparisons with other martial footage from the '50s and '60s. In his front kick, he doesn't lift his knee as he chambers. His hips are held back from the force of the kick (a technical issue which I cover in this article). His arms flail about wildly and without any control. His spinning back kick is similarly indicative of a deficiency in basic motor skill and conditioning. As you can see, he is unbalanced in the turn. His kick is aimed totally off course. It lacks sufficient force or snap because it mostly just swings out with the knee staying bent. The same applies to many of his other techniques. At times in his jumping kicks he doesn't even snap out at all; he just lifts both bent knees (a double hop). Accordingly it is my view that at 32 Ed Parker was a relative beginner in martial movement. He was certainly not a master. Nor do I think Parker is "faking" his lack of skill. The consistency of his movements is telling enough. And "playing silly" would be at odds with the tile breaking (which was clearly meant to impress). Consider for example Hirokazu Kanazawa's brief appearance on one of my favourite childhood shows, The Saint (starring Roger Moore). Like Ed Parker, Kanazawa was intended to play the role of an impressive expert - not a fool. He might not do much (more breaking) and what isn't breaking might be contrived, but the techniques are still passable as not offensive to traditional technique. But more than anything, you just couldn't do things as badly as Parker did in "The Lucy Show" if you were actually skilled. I think we all know: once you've attained a certain ability it might be possible to look plain silly, but it is impossible to look like a true beginner. My daughter tries to copy me copying her ballet. She either looks like she's still dancing or she looks like she's jumping on the spot like a pogo stick. There isn't any resemblance to my real "ballet awkwardness"! And I wouldn't call this "something different" that I "might not understand" (ie "kenpo"). The human body can only move so many ways, and the movements here are fairly fundamental (eg. front kick). The fact that Parker does them in a karate way (ie. ball of foot, snapping action) just narrows the scope: he was clearly showing karate (ie. Mitose's shorin-derived version). There is no "modification" that could possibly accommodate this bad technique - no "evolution", no "improvement". 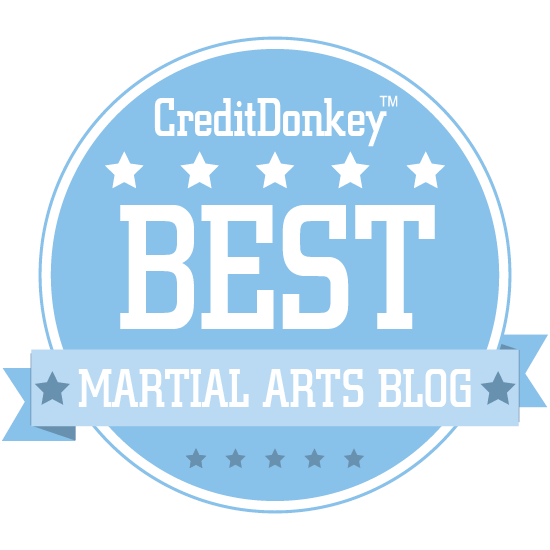 Besides, it is clear that Parker simply cannot do the relevant technique properly: every karate and taekwondo instructor of any experience will note unmistakable beginner movement with the attendant lack of balance, core strength, etc. Parker looks better with a partner, doing preset exercises in the 16 mm footage below, taken from around the same time as "The Lucy Show" episode. As my brother has pointed out to me, his bunkai (applications) are in many ways streets ahead of other traditional martial artists of his day in terms of practicality. In particular, his applications are, in some cases, far more convincing than the JKA shotokan ones featured above (some of the latter are really quite stilted and improbable). Clearly, like Chow and Mitose before him, Parker seems to have been what my friend Zach calls an "application-focused" martial artist rather than one who focused on technique. But don't forget: the applications, as relatively practical as they were in their day, are still fairly basic. And the rehearsed nature of them hides the fact that they are still executed with poor motor control - in Parker's case, the same poor motor control seen on "The Lucy Show" episode, albeit hidden by the choreography and the fact that Parker does not perform solo routines. 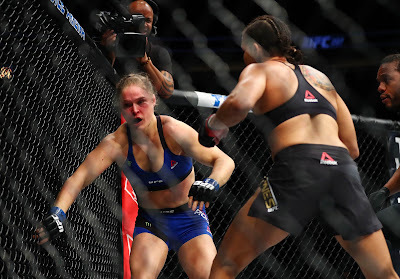 You can get by with choreographing an elbow strike against a "one step" opponent and still look good. A spinning back kick? Not so much. Accordingly it should come as no surprise that if you look closely you'll see the same fundamental errors and bad habits in technique that you saw on "The Lucy Show". Just one example is kicking with his hip held back. And it's clear from this film that he had already passed on these bad habits (or lack of knowledge) to his (otherwise clearly talented) student. Consider the adjacent still taken from the film and you'll see what I mean. So the end result is the same: basic (though not entirely impractical) karate, done with fairly poor form. But let's go back to James Wing Woo. Was he a co-author of "Secrets of Chinese Karate"? If so, how much of it was his material? The above video opens with a quote that is found at the start of Parker's "Secrets of Chinese Karate". I always found this quote almost impossible to reconcile with the Chinese technical content: it relies on a translation of "kara te" as "empty hand" when the characters for that name (空手) were only used in Okinawa and Japan to denote martial arts from the 1930s. Before that, "kara te" was written using homophone characters meaning "Chinese hand" or "Tang hand" (唐手). The change was made for pre-war nationalistic reasons ("Tang"was used to mean "China"). In other words, if a Chinese fighting art was ever going to use the characters for "kara te" ("tang shou") those characters would never be the ones meaning "empty hand". 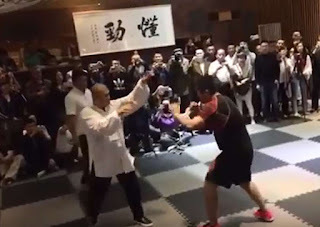 For example that Hong Yi Xiang of Taipei - part of my own martial lineage - called his school "Tang Shou Dao" meaning "The way of the hands of Tang". He did not, and would never have, used a term associated with Japanese nationalism in the 1930s - ie. "kara" (空). In any event while the two characters for "kara" are homophones in Japanese, this is not the case in Chinese dialects (eg. tang/kong in Mandarin, tong/hung in Cantonese). There is generally a fairly large disconnect between the introductory text and the technical and historical information. Almost as if someone else had come along and added a "Westernised karate" layer to what was a Chinese boxing manual. I am now getting an idea how the strange fusion in his book came about. And if one needed any more confirmation that Parker really wasn't terribly good at Chinese gong fu at around the time his second book was published, the video below removes all doubt. It clearly shows a gong fu two-person form and the beginning of a tiger/crane form. 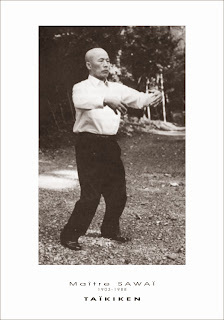 The former appeared in "Secrets of Chinese Karate" and seems to have been taken from, or at least inspired by, Woo or perhaps some other practitioner in Woo's circle. Notice the way Parker and his student get their distancing all wrong when performing the two-person form: it's clearly something they haven't really internalised. The technique is awful. If I were to suggest a summary of what Parker's system comprised in 1963, I would say that a handful of Woo's (or "Woo/other gong fu inspired") forms (eg. the two-person and the tiger/crane form) had been inexpertly grafted onto Parker's fairly basic karate knowledge. And when Woo and Parker fell out, the latter's brief access to traditional Chinese knowledge also terminated. From then on Parker's system seems to have become largely, if not entirely, his own creation. In conclusion, in 1963 Ed Parker was a relative beginner in what seems to have been a very diluted form of shorin karate. If we accept that karate standards were generally lower back then, we might give him a brown belt in karate (which some claimed is what he actually had). But he was very far from being a master. He was even more of a beginner in James Wing Woo's gong fu. 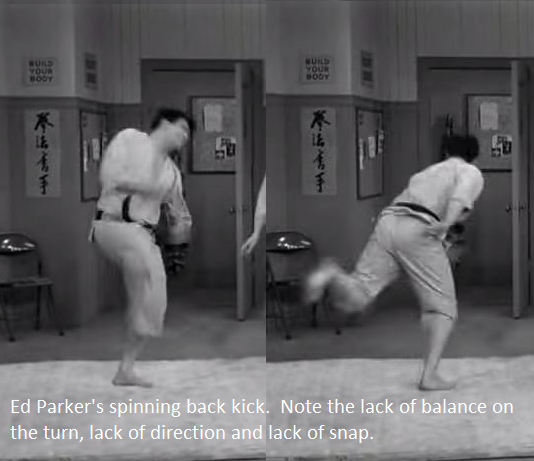 Whether it is karate or gong fu, Parker's movements in these videos show he lacked sufficient skill in traditional martial arts to claim any real mastery of them. His idiosyncratic form can't be explained away by reference to "improvement" on what he had been taught; one can only "improve" arts once one has mastered them. From a technical perspective, his second book "Secrets of Chinese Karate" seems to have resulted from the uncredited Woo; I can't see any substantial connection between the material in that book and Parker's martial art - at, or subsequent to, the time of these videos - other than the persistence of a few forms (performed by Parker and his student in the above videos in a rather disjointed, basic karate-style fashion). I have seen nothing in later demonstrations by Parker to conclude that he ever really attained a higher level of performance or knowledge of either the Japanese/Okinawan or Chinese martial arts than what is shown in the above videos. 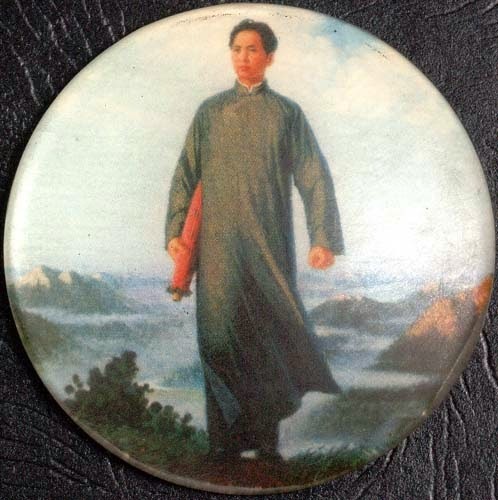 Rather he seems to have developed his own martial art, almost from scratch, using what karate he knew as a base (with a mere nod to James Woo's material). Ed Parker was certainly a pioneer of martial arts in the West. But based on the available footage, by both today's and yesterday's standards, it seems apparent to me that his skill and personal knowledge of traditional Japanese/Okinawan and Chinese arts was at a relatively low level when he was in his prime. I suspect it did not increase much after that: such skill and knowledge he developed in later years seems only marginally related to the traditional arts he initially studied. Parker might have been an innovator, perhaps an important one; I'll leave that for another time (see the end of this article). He might have been very tough physically. But he certainly wasn't a good traditional technician. And some of his concepts (eg. his lack of hip use in kicking) seem to have been just plain wrong, whether viewed from a traditional or modern/eclectic perspective. * James Wing Woo passed away on 27 August 2014 at the age of 92. "[B]e careful of too much focus on subjects 'what isn't there' and instead focus on subjects of what IS there. Focusing on the negative too much makes a person cynical to the point of questioning their own art in a nonproductive way." I think this is absolutely correct. Simultaneously, my brother called me and said that he felt I was way too harsh on Parker. He said (probably correctly) that if he and I had seen the 16 mm footage in the 70s or 80s we would have thought Parker was the bee's knees. He might not have been a good technician, but at least he was focused on applications - something it took many others decades to come to. So in other words, one needs to focus on what is there, not simply on what is isn't. Point taken. See also my follow up articles: "Why good basics matter", "Cross-stepping: power and pitfall" and "Parker's hand postures".